Reason #3: The ACA requires insurance plans to cover basic preventive services for women. Dr. Ruth Lesnewski is faculty for our Mount Sinai Downtown Residency in Urban Family Medicine and sees patients at our Sidney Hillman/Phillips Family Practice. 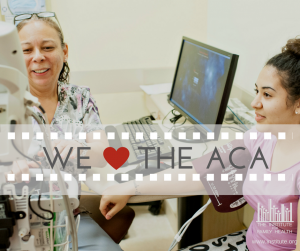 Check our blog each week through March for more reasons why We ❤ the ACA.